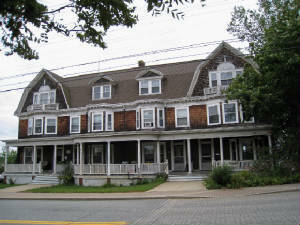 Examples of Shingle Style of architecture on Groton Bank. 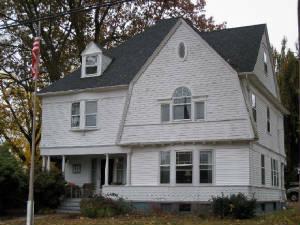 Another example is the Charles E. White House, c. 1895. Charles was the son of an early whaling Capt. Edwin W. White. He became a trustee and treasurer of the Savings Bank of New London after gaining his financial expierence as trustee handling the $1 million estate of Capt. Ebenezer Morgan upon Morgan's death in 1890.